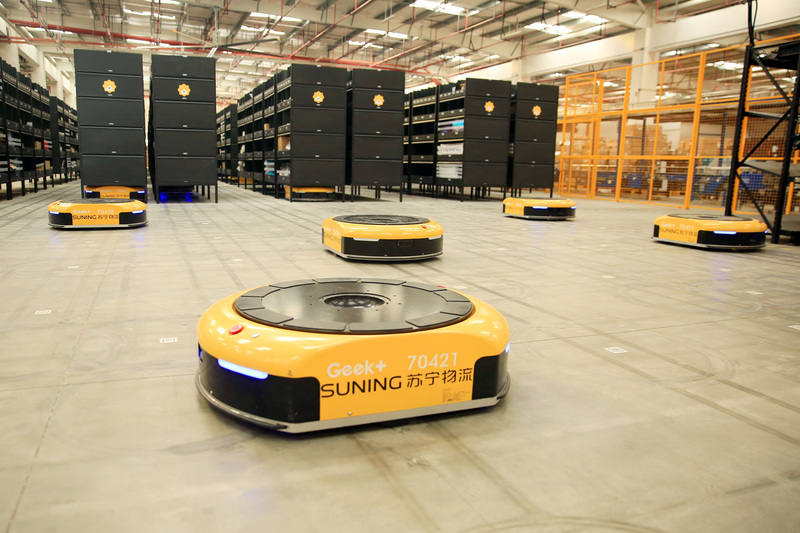 NANJING, China, Nov. 30, 2017 /PRNewswire/ -- Suning Commerce Group, a Fortune Global 500 company owned by Suning Holdings Group (“Suning” or “the Group”), has put its Automated Guided Vehicle (AGV) warehouse into service in Fengxian District, Shanghai, boosting its capabilities in the field of smart logistics. 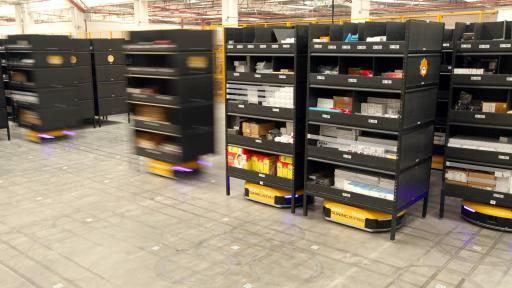 Equipped with 200 robots that carry selected items and move smoothly through stocking shelves, Suning’s AGV warehouse in Shanghai has been first used to meet the substantially increasing needs of logistics during the 11/11 Shopping Festival. 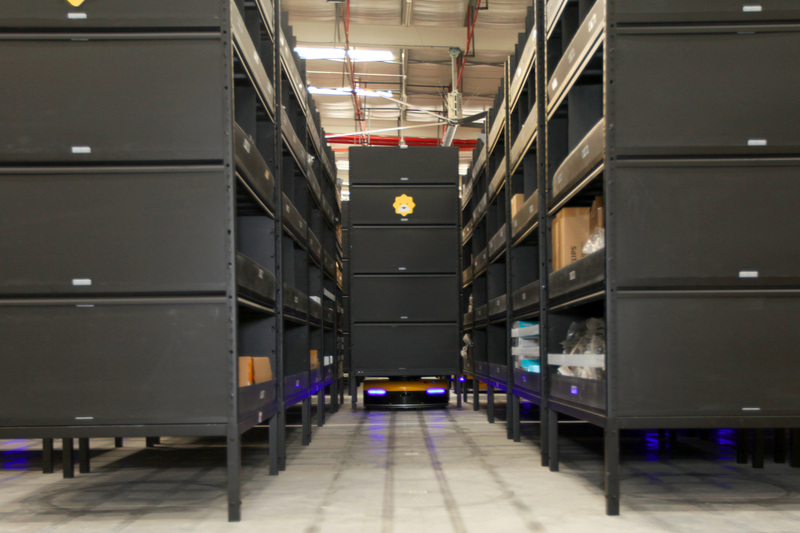 The warehouse performs the task more efficiently by providing a “goods-to-people” solution instead of the traditional "people-to-goods" model. 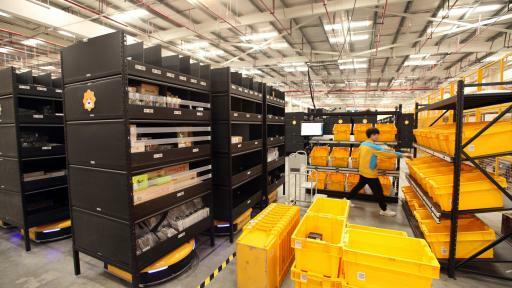 The facility is expected to be the largest automated warehousing system in China when put to full-scale operation with total 1,000 robots in 2018. 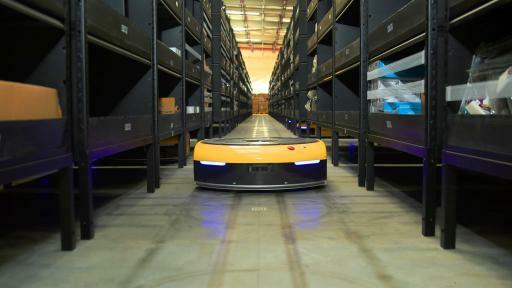 Suning’s 200,000-square meter AGV warehouse in Shanghai is basically unmanned. 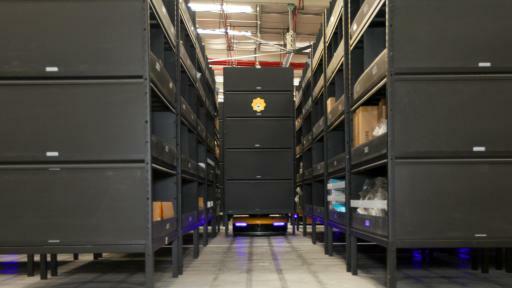 The AGV warehouse is twice the storage capacity of the single layer one. 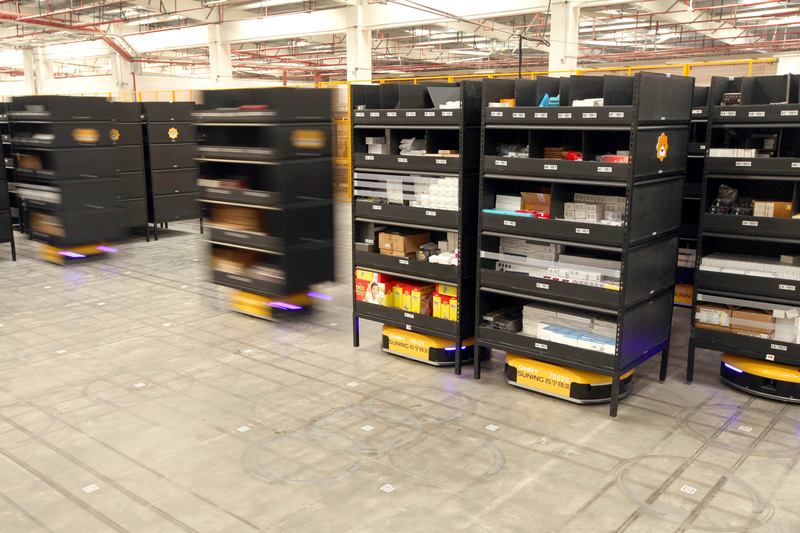 At present, its 200-robot group can select over 200,000 items every day and each robot can move with a load capacity up to 800 kilograms. The accuracy rate of the item selection process is 99.99% while the time spent selecting an item has been shortened to 10 seconds -- five times faster than manual work. Currently, the warehouse mostly handles digital products. 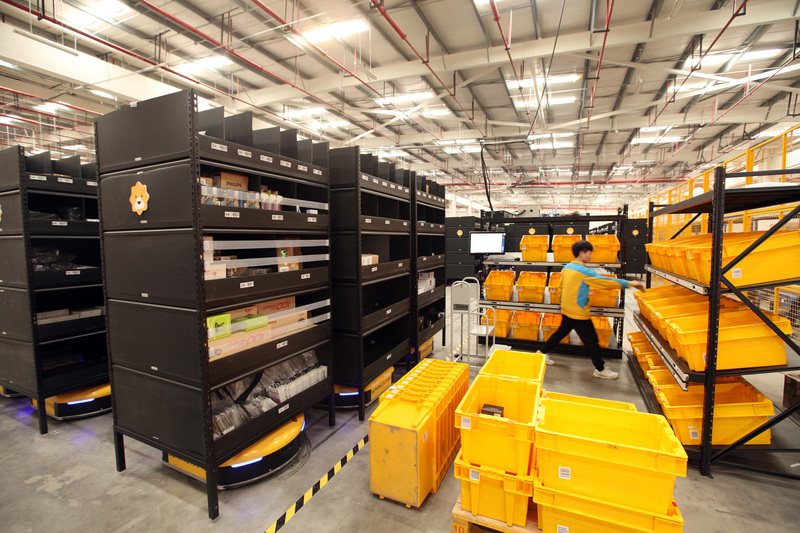 Suning plans to automate the warehouse for a wider range of categories. 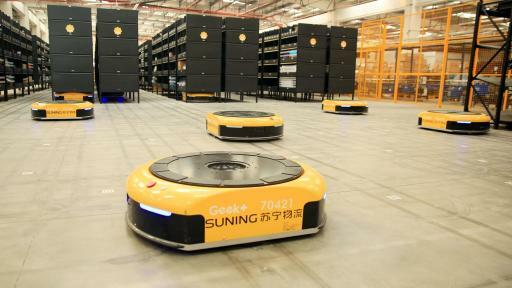 And more Suning AGV warehouses will be built in Jinan, Zhengzhou, Chongqing and Shenzhen. 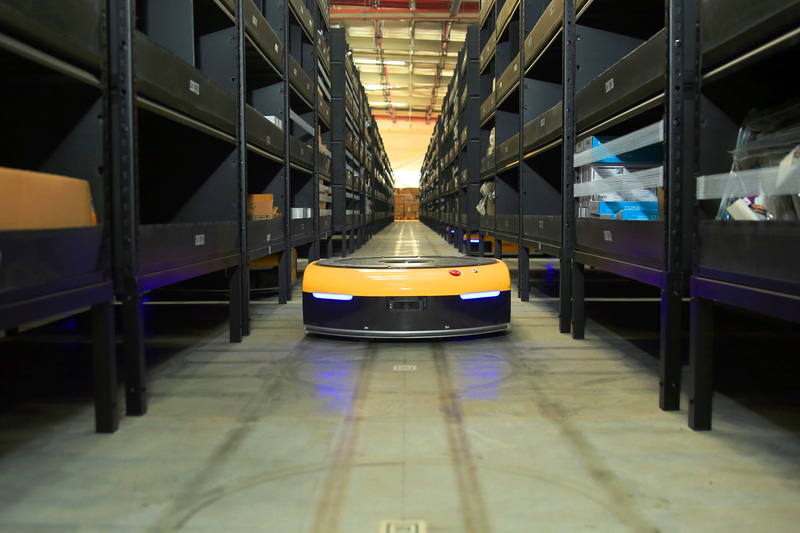 It takes less than three months to prepare and build an AGV warehouse and the number of robots deployed in each warehouse is adjustable based on operational needs -- adding more flexibility to warehouse management. Suning was founded in 1990. 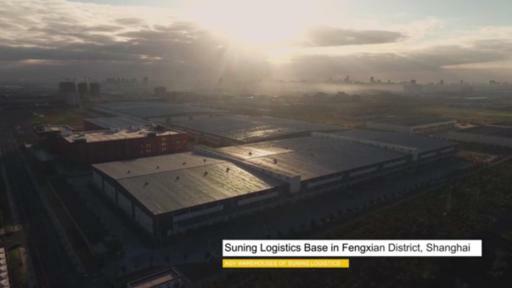 After decades of development and transformation, Suning continues its business growth across six industries, including: Retail, Real Estate, Media and Entertainment, Investment, Sports and Financial Services. At present, Suning has two listed companies, namely Suning Commerce Group (002024.SZ) and LAOX Japan. Suning ranks the second place of Chinese non-state owned enterprise in 2016.